The Christ Renews His Parish Renewal Weekend is an overnight retreat right here at All Saints. CRHP is for adult parishioners looking to renew their faith, gain a spiritual boost and make lasting friendships with other members of the parish. The two-day, one-night retreat is carefully planned and includes all meals. Don’t miss this opportunity to take time to reflect on Holy Scripture and deepen your relationship with Jesus Christ. Retreats are January 26-27, 2019 for women, and February 9-10, 2019 for men. Watch parish communications for updates or the CRHP web page. A spiritual study that will give you a deeper understanding of the precious gift of Christ’s body, blood, soul and divinity that you can receive at each and every Mass. Christ is alive and fully present in the Eucharist. Join us as we delve into the “source and summit” of our Faith with Bishop Robert Barron’s DVD-based program: Eucharist: Sacred Meal, Sacrifice and Real Presence. This spiritual study will give you a deeper understanding of the precious gift of Christ’s body, blood, soul and divinity that you can receive at each and every Mass. Small groups will meet weekly for 6 weeks beginning 9/10. This book will be available for $15 at the first meeting of each group. On Mondays, this 20-week study is limited to 25 participants. INTERESTED IN BECOMING A CATHOLIC? Never been baptized or baptized in another non-Catholic Christian Church? 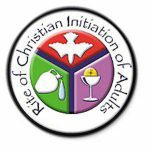 The Rite of Christian Initiation for Adults (RCIA) sessions, which help to prepare you for the sacraments that will bring you into full communion with the Catholic Church at the Easter Vigil. SPONSORS ARE NEEDED! Contact Richard Ducate at rcia@allsaintsdunwoody.org. Who were baptized in another Christian faith and who wish to become Catholic. Who were baptized Catholics but were never confirmed. RCIA meets weekly on Sundays, starting in September. Sessions typically include prayer and instruction on some aspect of the Catholic faith. Each RCIA candidate is paired with a parish sponsor who also attends the weekly sessions. Candidates are initiated gradually through a series of liturgical rites. They receive the sacraments of initiation at the Easter Vigil, the highlight of the Church year. What is the Role of Sponsors? Sponsors play an important role in the initiation process. They remind us that we are participating in a process of conversion, which involves a personal experience of being welcomed into a faith community of human persons. RCIA sponsors represent the faith community; they insure that no individual walks the journey of conversion on their own. Parish Sponsors serve as formal representatives of the Catholic faith community. They are active Catholics who represent the local parish community, and, by extension, the universal church. Parish Sponsors may be personal friends or relatives of the candidate (such as a spouse or fiancé) if they are also members of the local parish community and are able and willing to assume responsibilities of the Sponsor. The Parish Sponsor accompanies the candidate through the periods of Catechumenate, Enlightment and Mystagogia. He or she serves the candidate as a mentor, a companion, and a representative of the faith community. As mentor, serves as a living example or role model of what it means to be a person of faith. As companion, accompanies the candidate to RCIA activities, is available to the candidate outside of RCIA process, encourages and supports the candidate in the discernment process, offers the candidate guidance and understanding when the candidate is doubtful or hesitant, and, if necessary, challenges the candidate to be faithful to the discernment process. As representative of the faith community, helps the candidate feel welcome, introduces the candidate to other members of the faith community, and invites the candidate to participate in community activities. Rosary Events – Patriotic Rosary the first Thursday each month at 1PM in the church; 13th Day Rosary on the 13th of each month after the evening Mass, 7PM on weekdays or 5PM if the 13th is on a weekend; and 5th Sunday Rosary by the K of C after 10:30AM Masses when there is a 5th Sunday in a month (9/30/2018, 11/30/2018). Watch the eNews, website and bulletin for announcements of upcoming events. Catholic Faith Discussions for Men – Men’s Bible Group Invites You! Catholic Scripture and Faith Discussions for Men starts Sunday, December 2nd! If you have struggled to make prayer a regular part of your life you will appreciate this program. Get up early and join us on the 1st and 3rd Sunday of each month as we work toward a closer relationship with God. We will be studying the series Walking Towards Eternity: Engaging the Struggles of Your Heart as presented by Jeff Cavins. The study materials use a structured process for reading and praying over scripture known as Lectio Divina. Our sessions on Sunday will include group discussion on the scripture passages assigned between meetings as well as a video presented by Jeff Cavins that helps tie it all together. Meeting 1st and 3rd Sunday of each month: 7:00 – 8:25 am, in All Saints’ parish library. To reserve your place, contact either Scott Cohen at scottnb@mindspring.com or 404-354-6362, or Michael Tobia at 404-642-9313. Special content is added for Advent and Lenten seasons. Our app will also help you find Masses when you travel! All Saints Catholic Church has a parish subscription so you can access for free Catholic faith formation content. Find programs, watch movies & documentaries, read books for adults and children, and listen to audio, all centered around our Catholic faith. Featured content is added often. Sign up with this parish link. 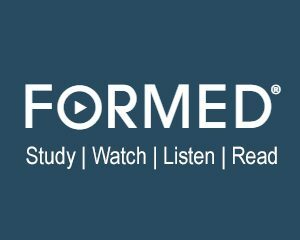 Watch: Ready Reasons: Was Jesus’ Sacrifice Enough? Study: Symbolon Knowing the Faith Session 8: Why Do I Need the Church? Watch: Ready Reasons: Is the Resurrection a Lie? Small groups form periodically for Lenten or Advent, or for other special events. Watch the eNews, website and bulletin for announcements.